So here it is. 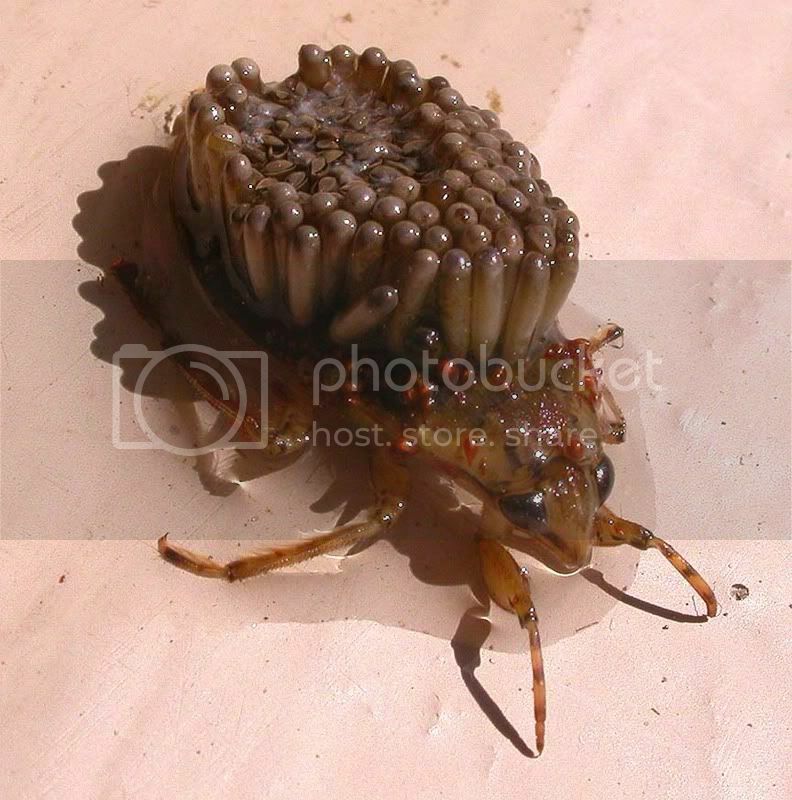 This is a giant belostomatid water bug. This picture is from the website Fishpondinfo and was taken in Ecuador by Kevin from Kentucky. These bugs are the largest insects in the order Hemiptera, and occur in freshwater habitats in a range of locations worldwide, mostly in North and South America and East Asia. They have some unusual reproductive habits, and are also particularly popular in Thailand: can you guess why? Yes, that’s right, they eat them. In the northeast region of Thailand, eating insects is common. This species (known as mang dah; Thai: แมงดา) is a popular dish, eaten whole and fried. Belostomatids also have an unusual and odd-looking way of caring for their eggs. the female lays them on the back of the male, who carries them around, looking after them. This can give the big male bugs a rather odd appearance. I found a GIANT water bug on my deck at 8:30 at night! Why do I have this bug on my deck? Where did it come from? We live in the city of Sun Prairie Wisconsin…..it’s huge and we’re all freaking out. I’ve never seen a bug like this in my life! Previous Previous post: The non-native species portal opens!